Roast lamb and mint sauce constitute one of my favourite Sunday dinners, preceding the preferred Roast Beef and Yorkshire Pudding dinner of course. 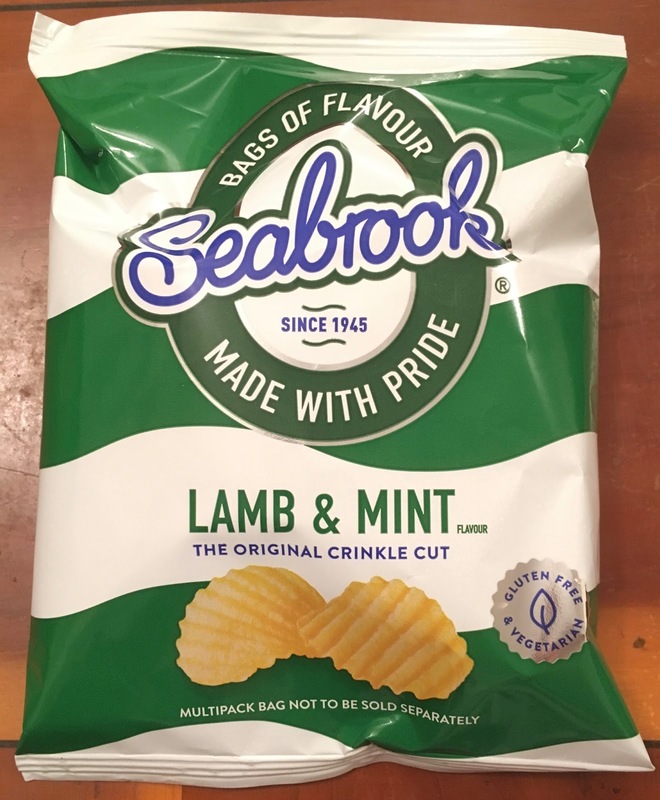 I'm hoping these Seabrook Lamb & Mint crinkle cut crisps will help to remind me during this mid-week lunchtime of a good hearty Sunday dinner. I may not have the roast potatoes, side vegetables and a glass of red wine at work, but at least these crisps may raise a smile rather than a pre-meal toast. There's a definite minty smell on opening the packet with a little lamb and parsley in the background. 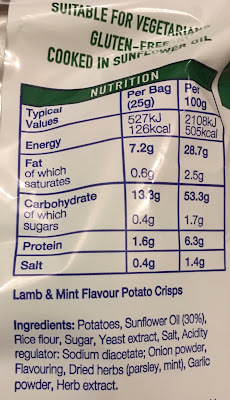 In taste these crinkle cut crisps are certainly big on mint which merges into lamb and mint towards the aftertaste. Once the aftertaste has almost died out there is a bizarre aftershock of parsley and a little garlic in the flavour. This makes for an oddly pleasant secondary flavour. 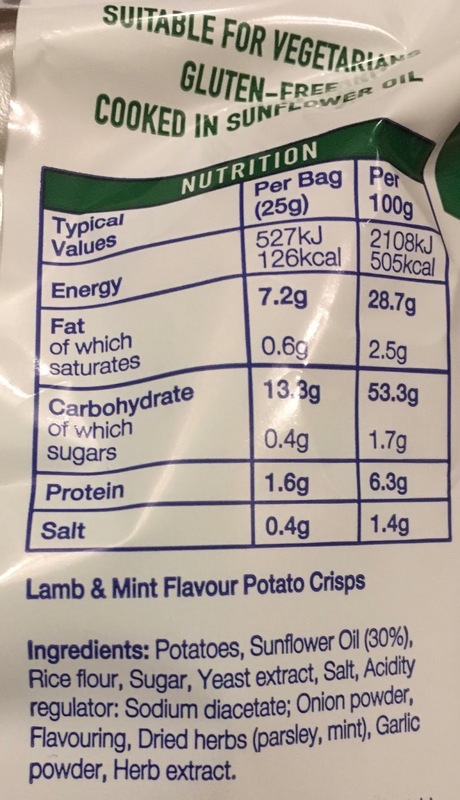 These Seabrook Lamb & Mint Crisps are definitely minty in taste, with lamb following closely behind to be replaced by an entirely new blast of flavours of parsley and garlic. I can't recall having a crisp flavour that bites back after swallowing, so there you go… Always try something new, you never know when you'll have a new experience! The 25g packet has 126 calories, with 7.2g of fat, 0.4g of sugar and 0.4g of salt. The ingredients are vegetarian friendly, gluten free, and include; potatoes, sunflower oil (30%), rice flour, sugar, yeast extract, salt, acidity regulator; sodium diacetate, onion powder, flavouring, dried herbs; parsley and mint, garlic powder, and herb extract. Man, I love crisps, and these ones in particular look excellent. Going to have to see if I can get a pack to try for myself!